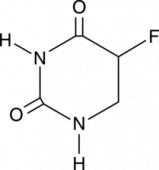 5-Fluorouracil (5-FU) is a pyrimadine analog that irreversibly inhibits thymidylate synthase, blocking the synthesis of thymidine which is required for DNA synthesis. Intracellular metabolites of 5-FU exert cytotoxic effects by either inhibiting thymidylate synthetase, or through incorporation into RNA and DNA, ultimately initiating apoptosis. 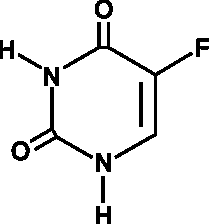 5-FU has been widely used to treat many gastrointestinal tract adenocarcinomas. However, its clinical application is greatly limited due to drug resistance. Cross selling for this product : 5-Fluorouracil There are 10 products.